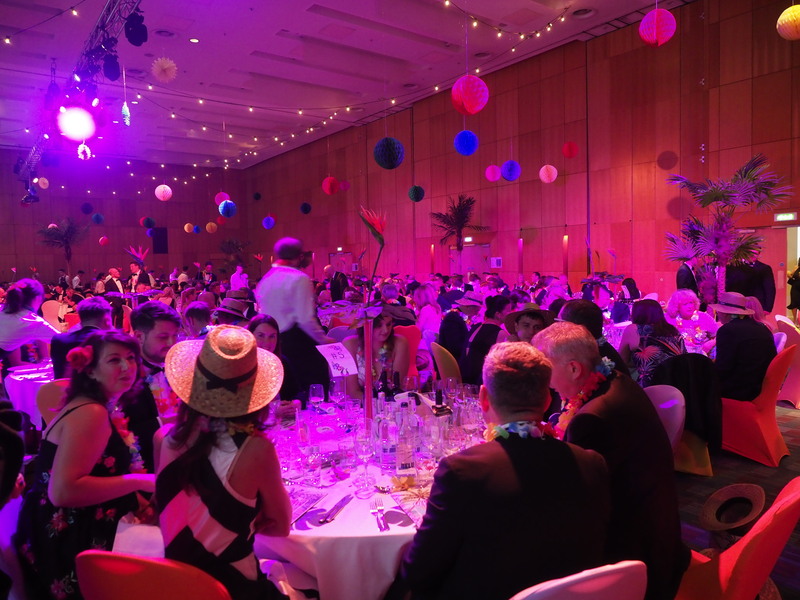 The Association of Professional Staffing Companies (APSCo) held its 2018 annual Charity Ball in aid of St Ann’s Hospice on Thursday 7th June at the Hilton Hotel in Manchester. The event was generously sponsored by Knightsbridge Contractor Insurance. The night raised over £21,000 for APSCo’s chosen charity St Ann’s Hospice which will have a significant impact on the support that the charity is able to offer to the patients with life-limiting illnesses they care for. Throughout the night guests were treated to some classic Hawaiian entertainment, an impressive limbo competition, a surfboard simulator and outstanding karaoke for the sell-out event, with all attendees leaving in high spirits. Guests generously donated through pledge forms, a live auction and a champagne raffle to win a high value diamond necklace. APSCo Chief Executive Ann Swain’s husband scooped up the prize which he ceremoniously put back in the draw for another guest to win. This press release was distributed by ResponseSource Press Release Wire on behalf of BlueSky Public Relations Ltd in the following categories: Entertainment & Arts, Business & Finance, Media & Marketing, Public Sector, Third Sector & Legal, for more information visit https://pressreleasewire.responsesource.com/about.